I have realised that after all the hype about the boy’s birthday last week I didn’t report any of the details! It was a great success – he loved his quilt (and I promise that a photo will follow within a few days – I just need to remember to do it when he isn’t sleeping under it!) Mum ended up doing the quilting, and attaching the binding and then we both handstitched it down together. She used the girls’ very basic Singer sewing machine – no fancy feet, attachments or anything special and it all worked really well, so I have the confidence now to try one myself at some point in the future! 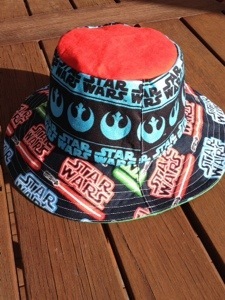 I also made the boy a hat from various Star Wars themed fabrics. It is reversible, so there is different fabric on the inside and he has had great joy in flipping it inside and out! I used this free pattern from April Cobb Designs and it worked really well. The pattern includes adult sizes, so I might have to work on a few more (you know – in all that spare time I have!). Mum really enjoyed the markets and seeing all of these beautiful designer items. She bought beautiful ceramic pieces from Tania at Kittila who uses vintage hand crocheted doilies made by her family to imprint on the porcelain – just beautiful! Mum bought a candle holder to use on her prayer table and she and Tania had a beautiful conversation as a result. It added to the experience for both of us. I was able to talk to Kyoko who makes the most beautiful body products – she is a qualified herbalist and the smells are just lovely! I also ran into another couple of people I know and talked to a number of stall holders about all sorts of things (where to get digital prints on fabric in Australia, colours, market stalls, etc!). It was a delightful outing and I arrived home tired but full of inspiration again. The results? 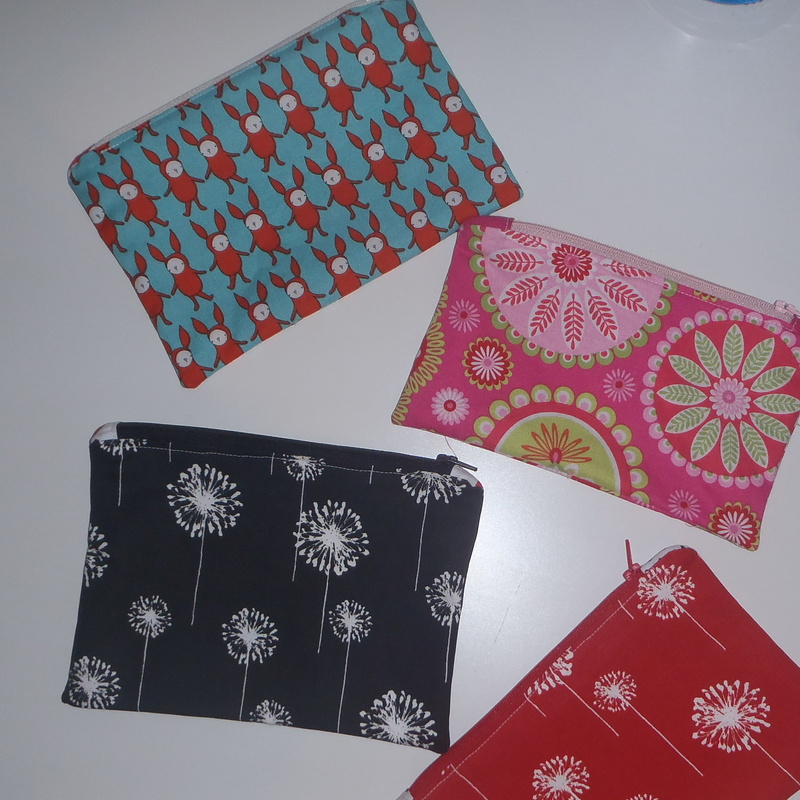 Little pieces of sewing – because I need some smaller things for my market stall. I am still not producing anything at my normal rate, but have accepted that I can only do what I can do, and as a result am not putting too much pressure on myself. 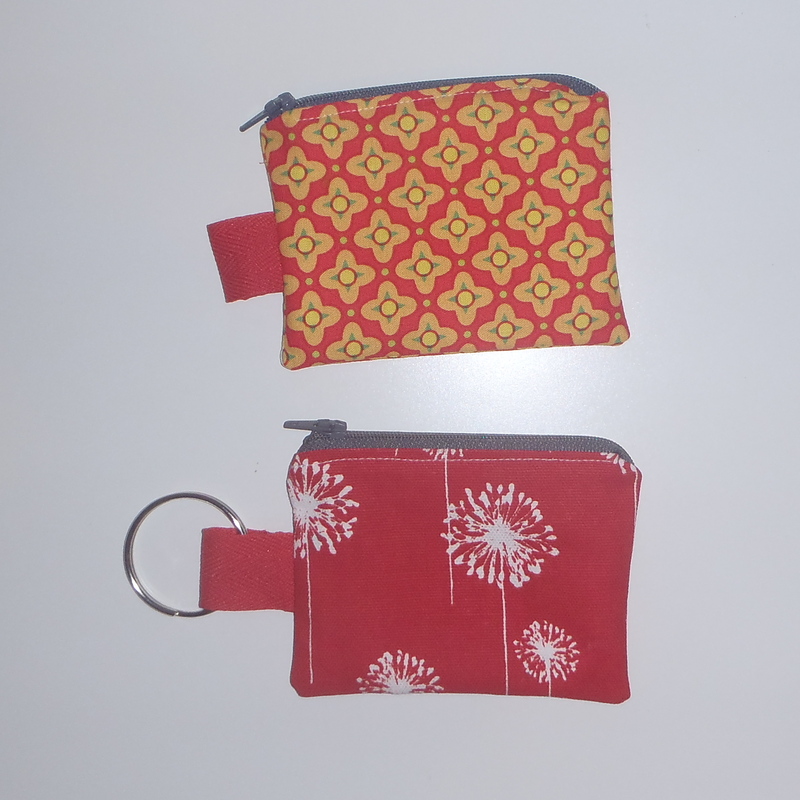 I have been making little coin purses that can have a key-ring attached – and made sure I got some ‘boy’ ones in there, and some zip up pouches that can be pencil cases, make-up bags, charger cord organisers – anything you want really! It is a good way to build back up to constructing larger things – and they are cute! However the best bit of creativity that has happened this weekend was after the chicks returned from their trip to Victoria. As it is the first day of Advent and December – ta-da! 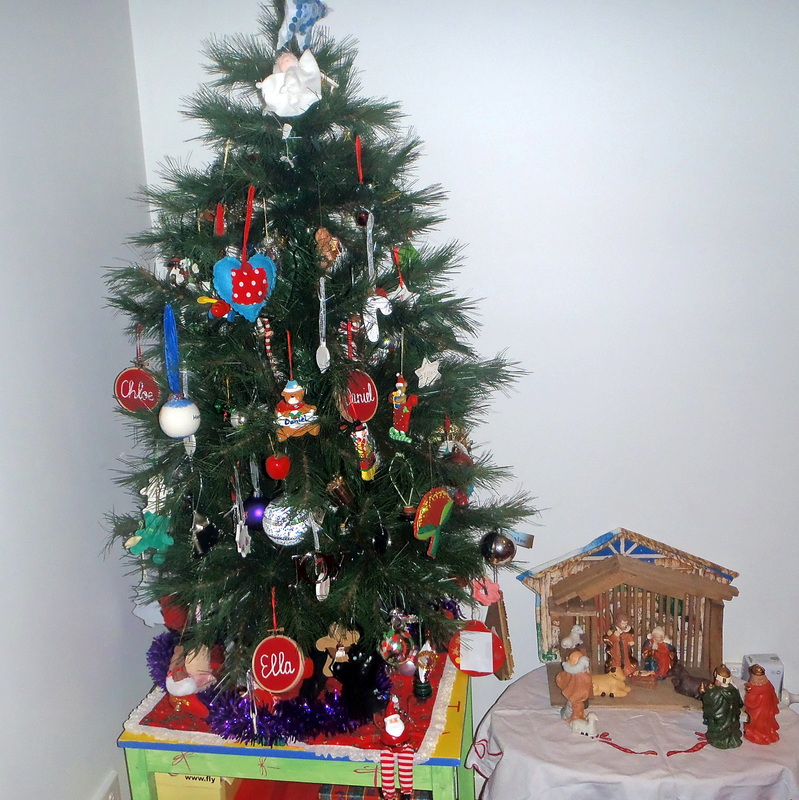 The tree is up, and the Nativity is in place (before it is rearranged multiple times a day by children.) This little tree was purchased for our first Christmas after the eldest chick was born – and until this year the chicks have resisted any efforts to replace it with a larger one. Of course every year we add new ornaments – so it is getting quite full. Each ornament has a story – and the chicks have amazing memories for the stories. The middle chick’s favourite ornament is a little wooden angel that I have owned for at least 25 years. She searches for it every year to hand it beside the glitzy, the handmade, the artisan and the pre-school produced. Mum and I tried to redistribute them a little bit but gave up so the decorating is well and truly as the chicks wanted it. They have agreed that we might need to think about a bigger tree next year……. Thank you to all who have reached out to offer words of support over the last few days. I am following all the advice of the professionals and am on the road to recovery. Lots of sleep, good food, exercise (the dog is in seventh heaven) and listening to music – with the occasional browse of a crafty website – is great medicine. I hope that you are enjoying the beginning of the festive season. A friend of mine who has some health issues noted that this year she couldn’t do all the extra stuff (cooking, presents, parties, etc) and that Christmas had been stripped back to the most important focus – family. She and I agreed that this will be a great Christmas as a result. Keep it simple and remember what is important. Feel free to take our advice!! 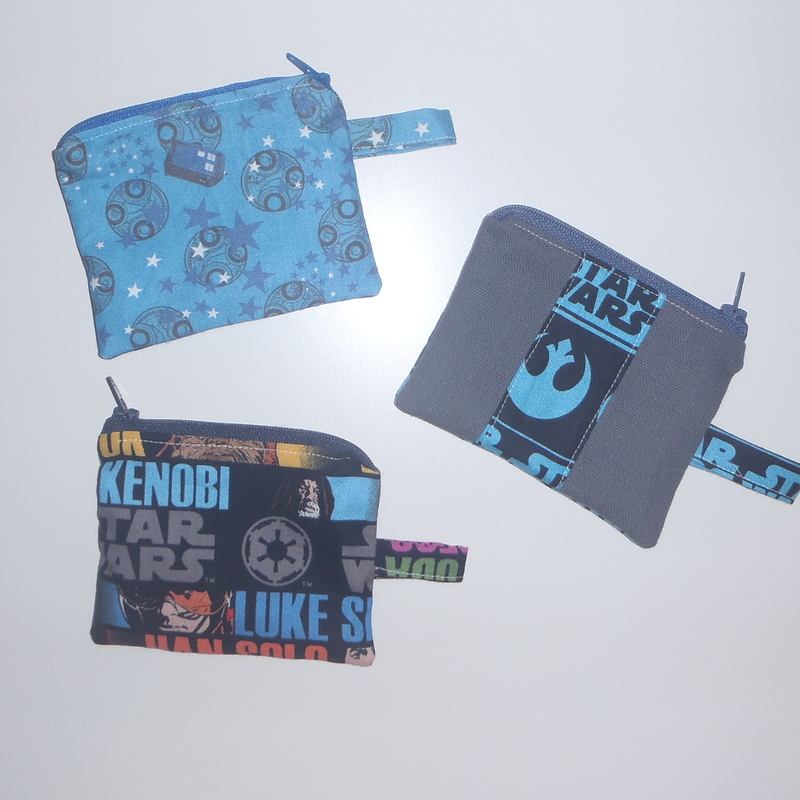 This entry was posted in Uncategorized and tagged bags, Christmas, hat, markets, Sewing, star wars on December 1, 2013 by a little bird made me.